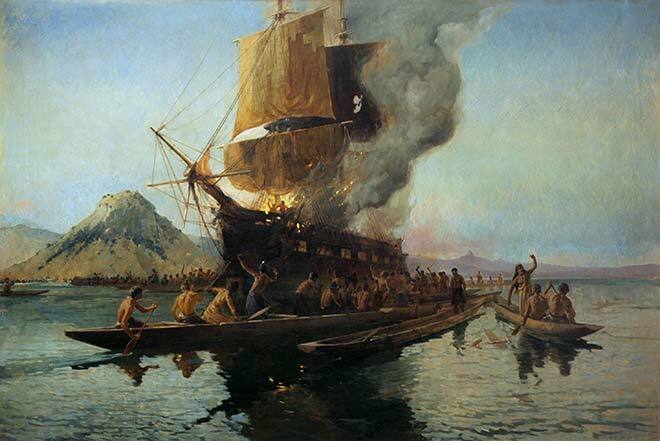 Conflicts such as the 1809 attack on the sailing ship the Boyd disrupted trading and other contact between Māori and Europeans in the period before the Treaty of Waitangi was signed. While the Boyd was anchored in Whangaroa Harbour in the Bay of Islands, local Māori killed most of the crew and passengers. This was retaliation for the mistreatment of their chief Te Ara, who had sailed on the ship. European whalers then avenged the attack, sparking intertribal warfare. The Boyd incident provoked anxious debate among New South Wales officials, and among Māori, about how to maintain order in New Zealand.